Synopsis: “Here Lies Joe” tells the haunting and beautiful story of two lost souls who find one another in the most unlikely place. Here Lies Joe is a pristine example of immersive filmmaking, a film that pulls your attention in and keeps it rooted, throughout the duration. This is an impressive accomplishment for a short film, and it’s the filmmakers’ way of setting a stellar example for the genre of dramatic shorts. Here Lies Joe introduces Joe, starting out with a beautifully filmed scene of the protagonist’s suicide attempt, then cutting to a scene taking place earlier that day. In this following scene at a “Suicide Anonymous” meeting, Joe meets the positively sarcastic Z, and the two spend the rest of the day getting to know one another in the most unusual ways. Sometimes the people who seem the happiest are those who struggle with depression the most, and nothing shows this more than Z. Andi Morrow does a breathtaking performance as the seemingly aloof member of “Suicide Anonymous”, completely becoming Z. When on the outside looking in, many people wonder why those as self-assured as Z appears become depressed. Director Mark Battle captures this thought perfectly, having Joe ask her why she wants to kill herself, to which she responds “cause I’m an ugly thing in a beautiful world.” This is such a heartbreaking moment, constructed by both the moving script and Morrow’s outstanding acting. A central theme in Here Lies Joe is hope – how people encounter it. Battle’s message in the film is crystal clear: hope is in the small things, and hope is in our relationships with other people. Applying this message to such sensitive content is difficult, especially given that the film occasionally approaches the matter with a sense of humor, but Battle does so with ineffable grace. Here Lies Joe is also quite lovely to look at, with beautiful cinematography. Battle takes several underwhelming locations – the inside of a car, a cemetery, a classroom – and makes them interesting. Featuring talented performers and an experienced director and crew, Here Lies Joe is an emotionally jarring piece, and its message is important. The film is a triumph, and above all, it’s an example of indie filmmaking at its finest. For more information on Here Lies Joe, visit the film’s website. 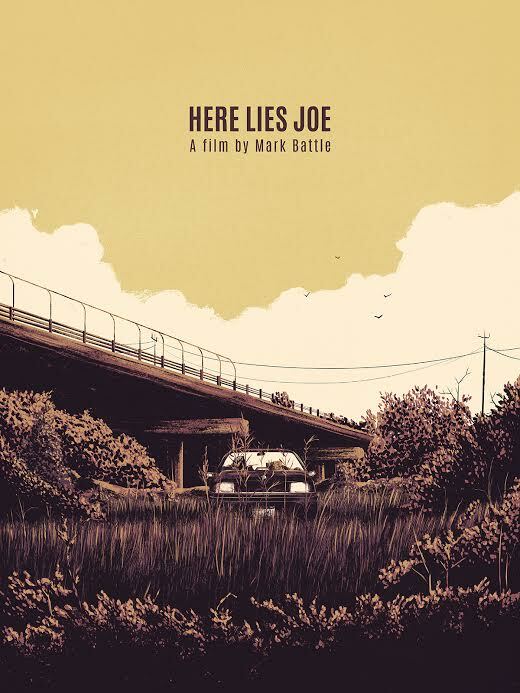 HERE LIES JOE Teaser Trailer from Sweven Films on Vimeo.